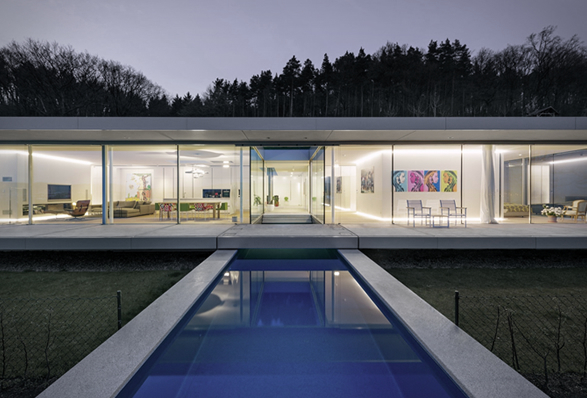 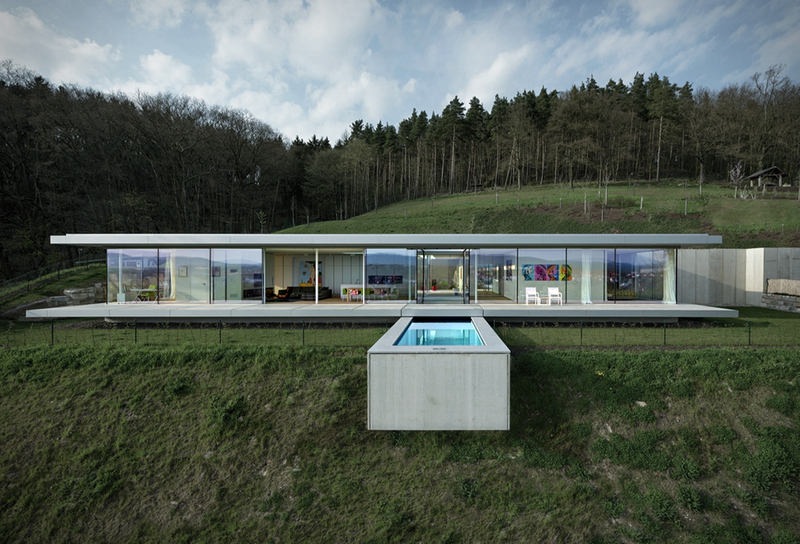 Villa K is a spectacular residence located in Thuringia, Germany. 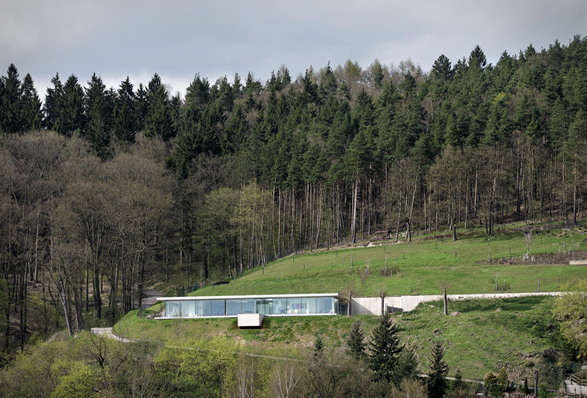 Designed by Paul de Ruiter Architects, the 248-square-meter ultramodern mountain villa offers amazing valley views with a minimal environment footprint. 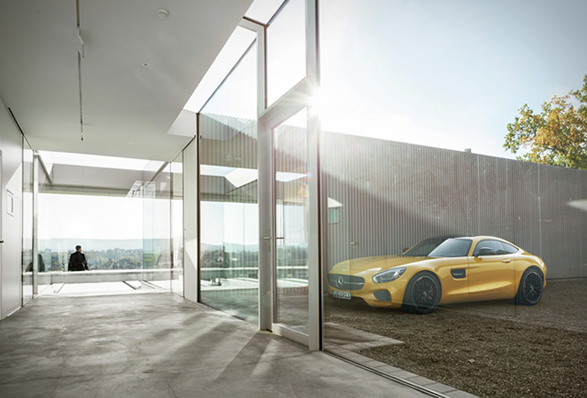 Visitors enter the house on the north-facing slope side, that features a six-car garage, mechanical rooms, pantry, and hunting rooms. 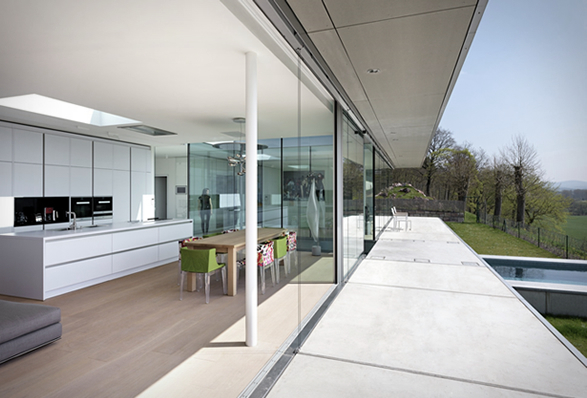 The living room and bedrooms face south and are clad in floor-to-ceiling glazing that open the home up to stunning valley views. 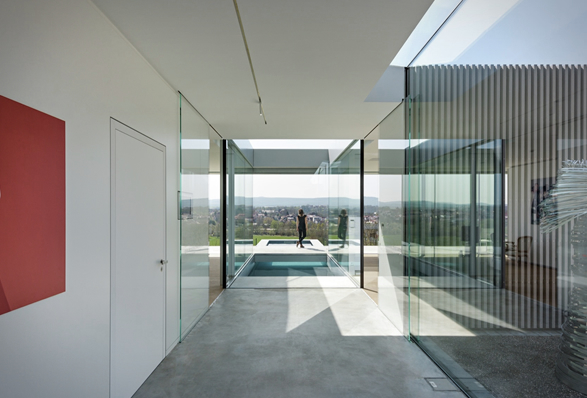 The house is framed by a U-shaped terrace, and is interrupted by a mind-blowing infinity pool that intersects the terrace and house between the living and bedroom areas. 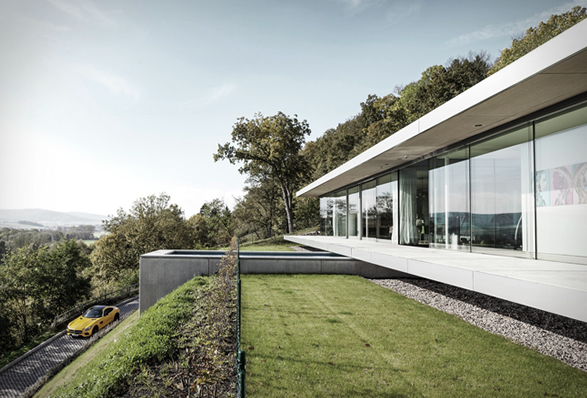 In fact, it seems to flow through the house into the slope.